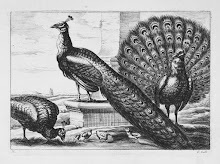 The grand and whimsical palace was built in 1640 on the edge of Monsanto Park in Lisbon. It is a masterpiece of decorative tiles, frescoed panels, oil paintings and formal gardens. 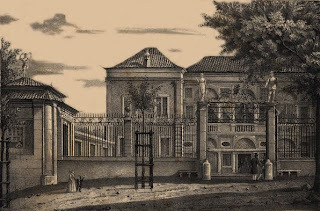 Originally it was a hunting pavilion for Dom João de Mascarenhas, 1st Marquis of Fronteira. The Mascarenhas family had distinguished themselves during The Age of Discovery in India, Asia, Brazil and Northern Africa. 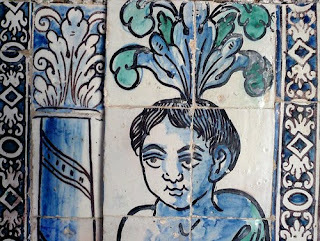 Blue and white glazed azulejos are featured in both the interior and exterior; an exterior walk is lined with allegories to the arts and sciences along with statuary of mythical gods and goddesses. Other azulejos depict important battles such as Guerra da Restauração or fanciful cats and monkeys playing musical instruments. 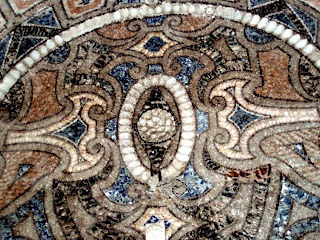 A chapel, which, dates from the 16th century, is comprised of mosaics incorporating broken porcelains, glass, stones and shells. The china fragments were from the king's visits, once he ate from a dish it could never be used again.